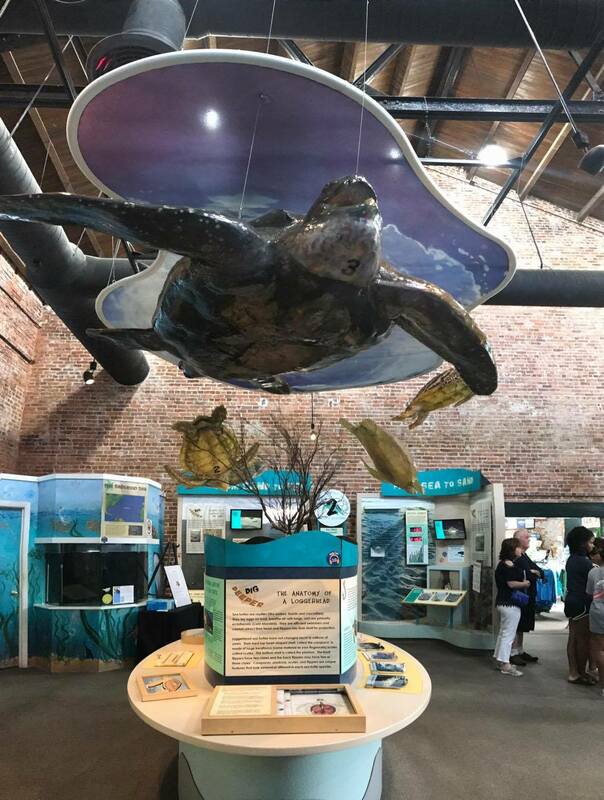 The Georgia Sea Turtle Center, located on Jekyll Island on the coast of Georgia, opened back in 2007. 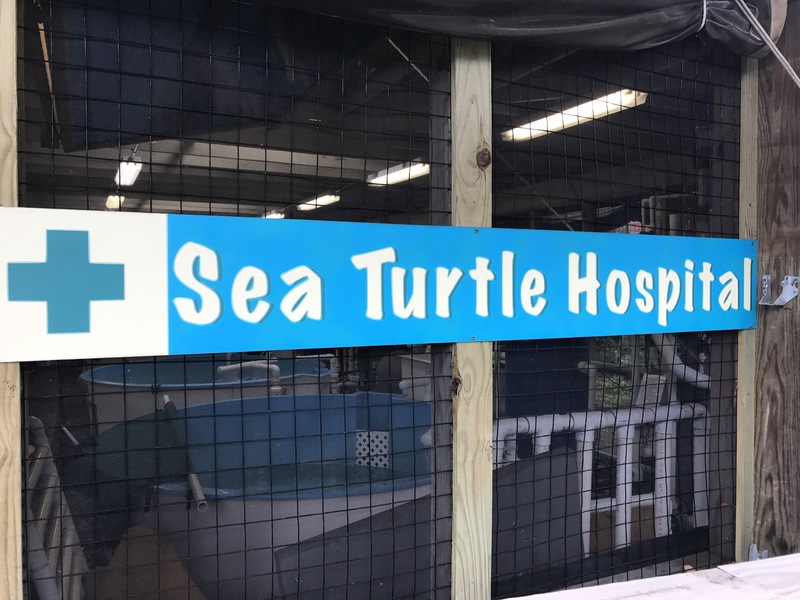 Not only is the center a rehabilitation facility and hospital for sea turtles, but it’s also an educational center raising awareness of the damage that has been done and steps we need to take in order to protect our environment. Mom and I were able to visit the center, and we genuinely enjoyed our time there. 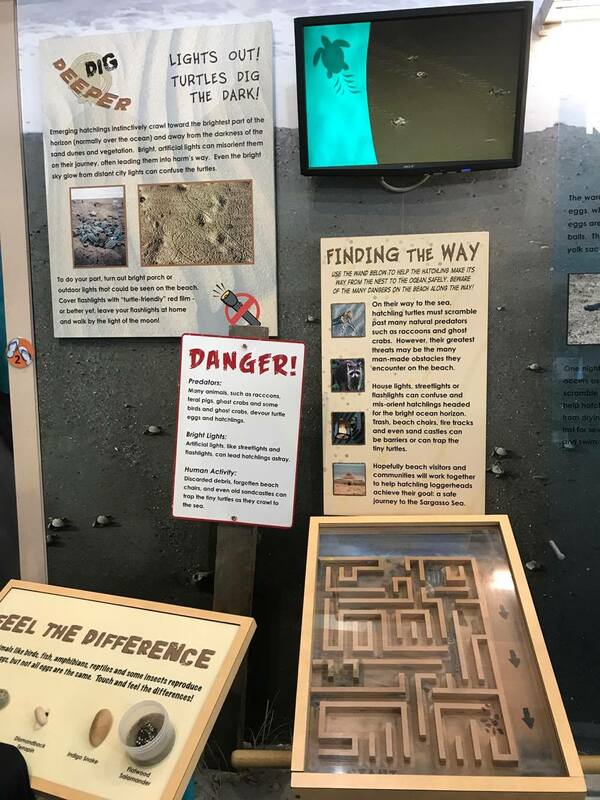 Although we did learn a lot about the different types of sea turtles and their life cycles, we also learned so much more about the environment in general. It truly was an eyeopening experience! 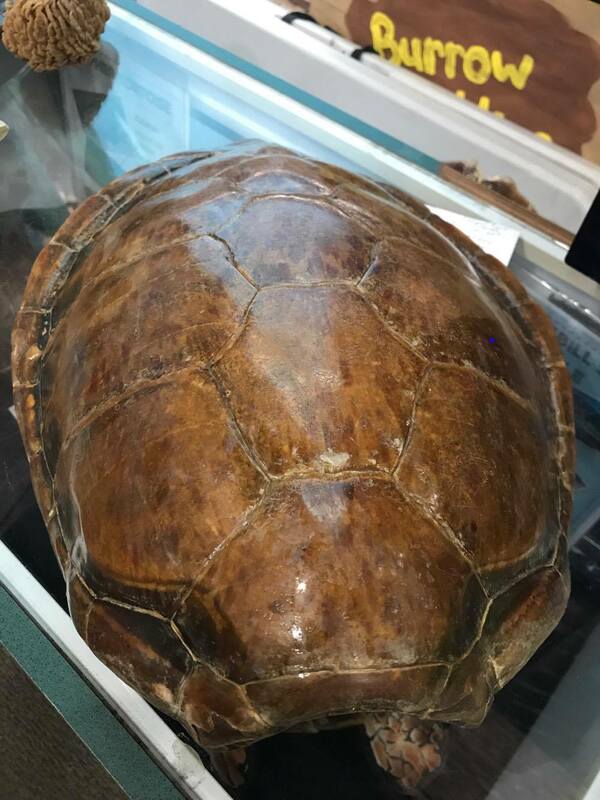 Finding the Georgia Sea Turtle Center isn’t hard at all. Just plug in the address into your GPS, and it will take you straight there. And if you’re like me and for some reason think your GPS is confused along the way, when you get relatively close to the center, you’ll start seeing little [painted] turtles on the road to guide you in the right direction. Depending on which parking lot you park in, will determine what you see when you walk up. We parked in the public parking lot [the second parking lot on our left], and we ran into the official sign of The Georgia Sea Turtle Center. Of course we had to take a picture with it! As we continued following the brick pathway, we rounded the corner to come face-to-face with the building. 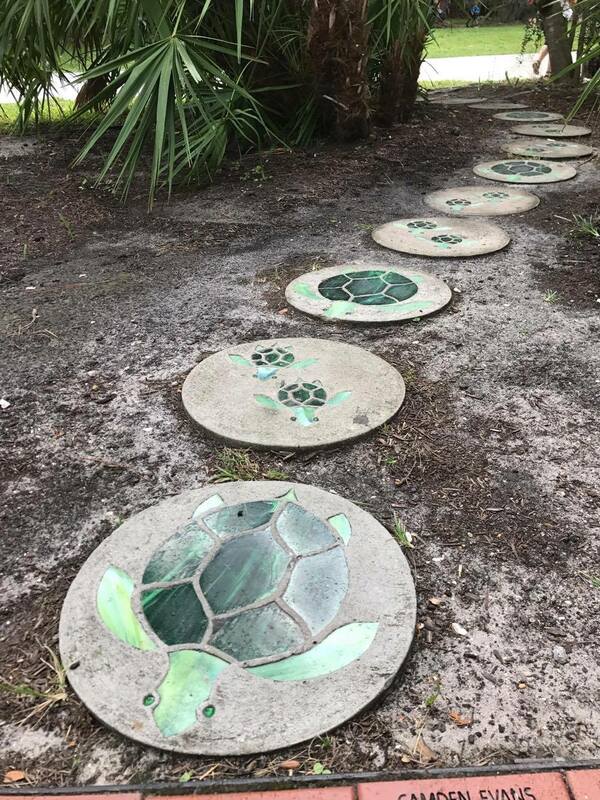 Before we reached the building though, we noticed two statements of turtles: the brick formation and the stepping stones. Once inside, we walked immediately into the gift shop, which is where you purchase your tickets as well. 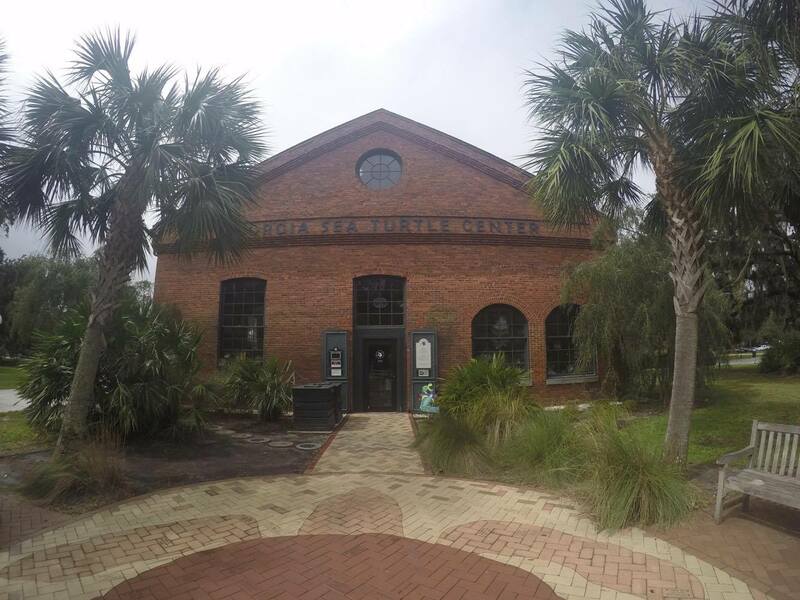 As we had the Jekyll Island VIP Pass from winning a contest that granted us entry into the center, we checked in at the front desk and proceeded into the exhibition gallery. Mom and I Making It Through the Sea Turtle Journey – I lived to be 60 years old; She lived to be 15 years old. 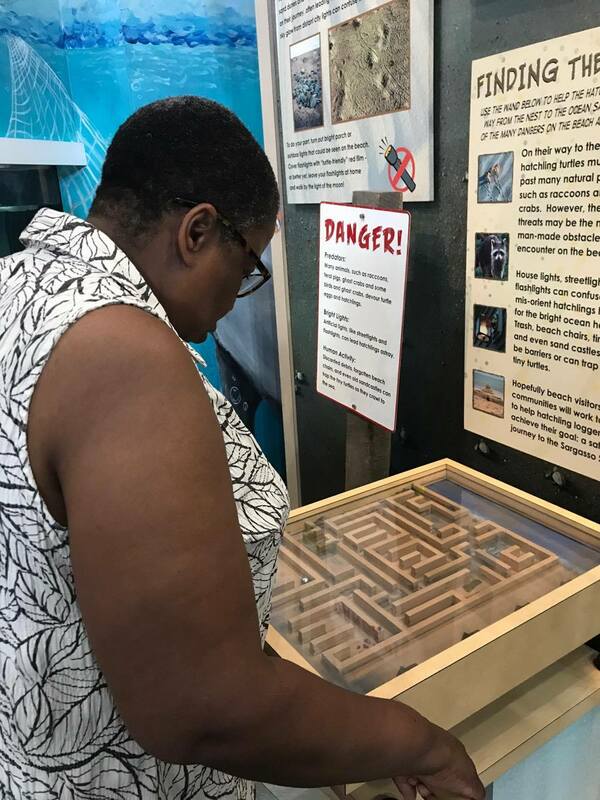 Mom Playing the Game to See if She Could Make It From Sand to Sea – She Did! 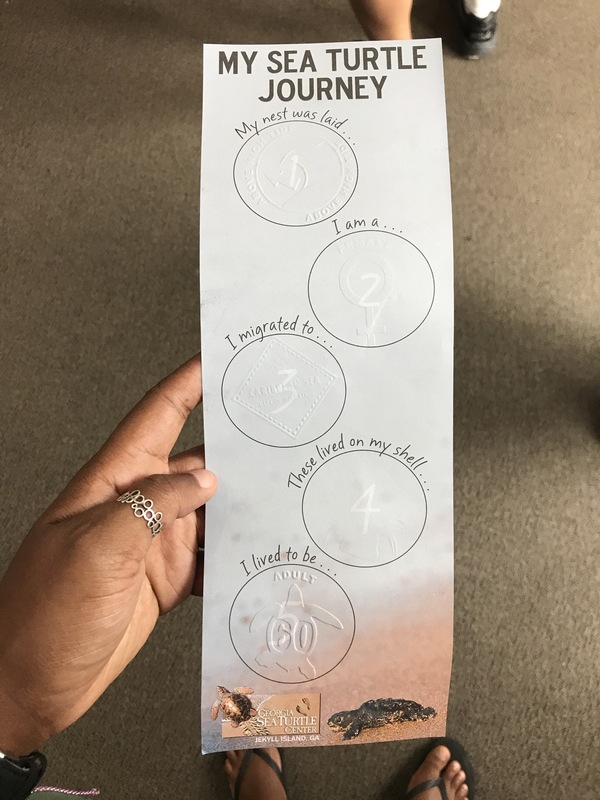 Right before we walked into the gallery, we were presented with a paper that would allow us to interact with the exhibit. 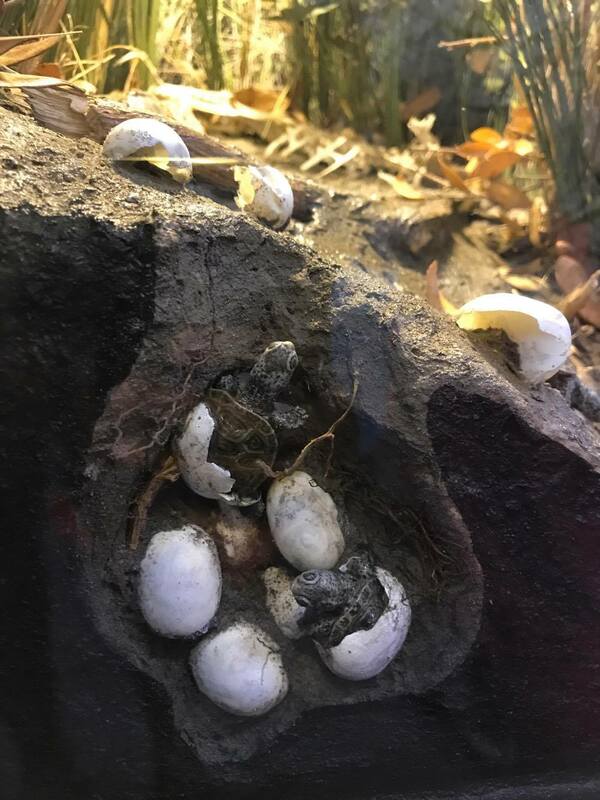 We became sea turtles ourselves, and by the end of our journey through the exhibit, we would learn where our nests were laid, what gender we were, where we migrated to, what lived on our shells, and how long we ended up living. We walked in and was immediately greeted by one the employees, Lois. She was so great in teaching us about each station and providing us additional information that we might have missed from just reading at the various stations. One of my mom’s favorite facts she learned was they use the same type of honey, which has antibiotic features and draws out germs, as she does on her [human] patients. I never really considered that there would be various types of sea turtles. I guess I don’t think about them that often, but in case you were wondering – yes, there are 5 different types that we learned about in an informational sit down session conducted by another employee. [Unfortunately, I didn’t get her name, but she was great and so engaging with the group]. 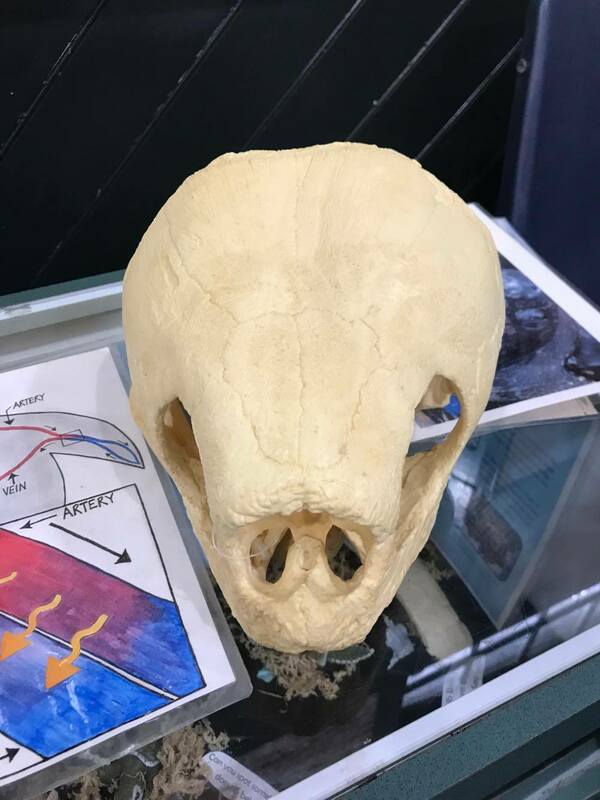 The Kemp’s Ridley: This is the smallest of all the sea turtles. 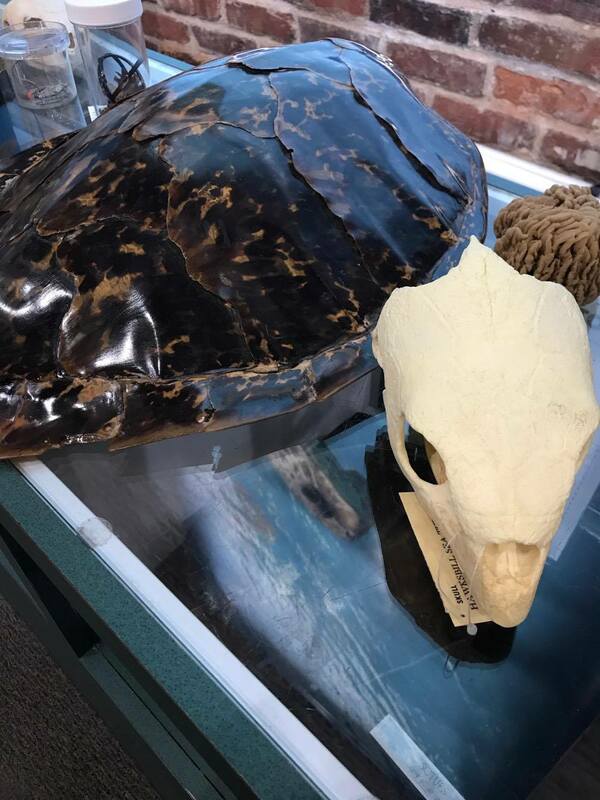 The Hawksbill: These turtles usually get harvested for their exquisite shells. They eat sponges, which are glass-like. The Green Sea Turtle: They only eat sea-grass and seaweed, which they use their serrated “teeth” to eat. They will mostly be found in the warm Caribbean waters. The Loggerhead: They can grow up to be 200-300 pounds. 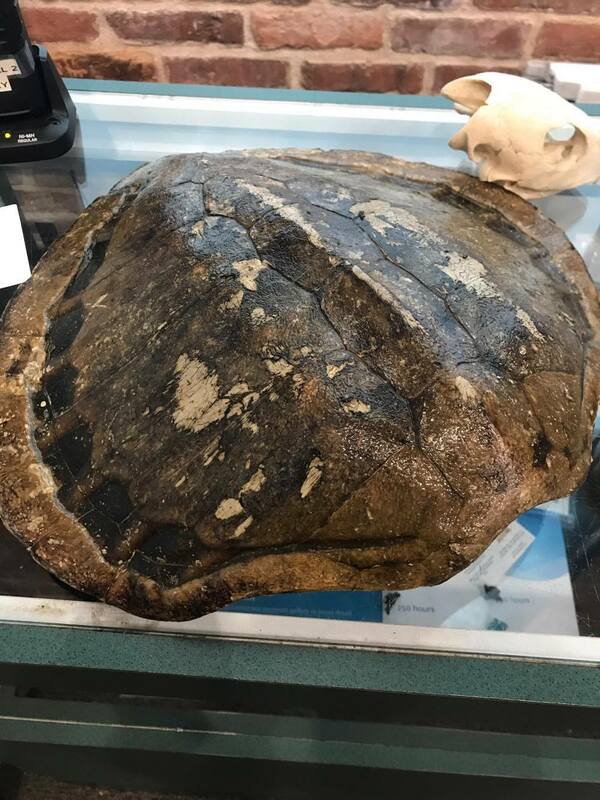 This species has the largest head compared to the ratio of the body/shell. They eat blue crab. 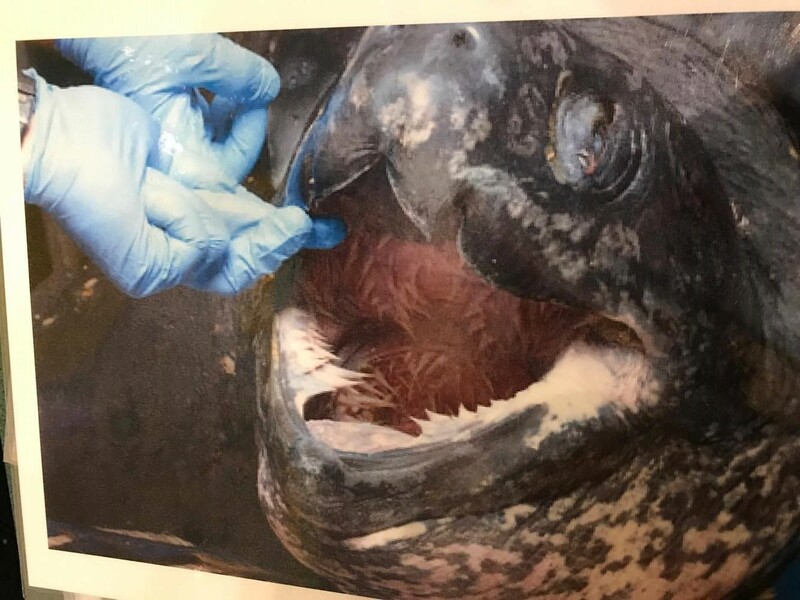 The Leatherback: They don’t really have a shell, but instead a back made up of cartilage, muscle, bone, and fat tissue, resembling leather. This design aids them in diving deep to eat their favorite food – jellyfish. They have esophageal papillae to help protect against the stinging of the jellyfish. 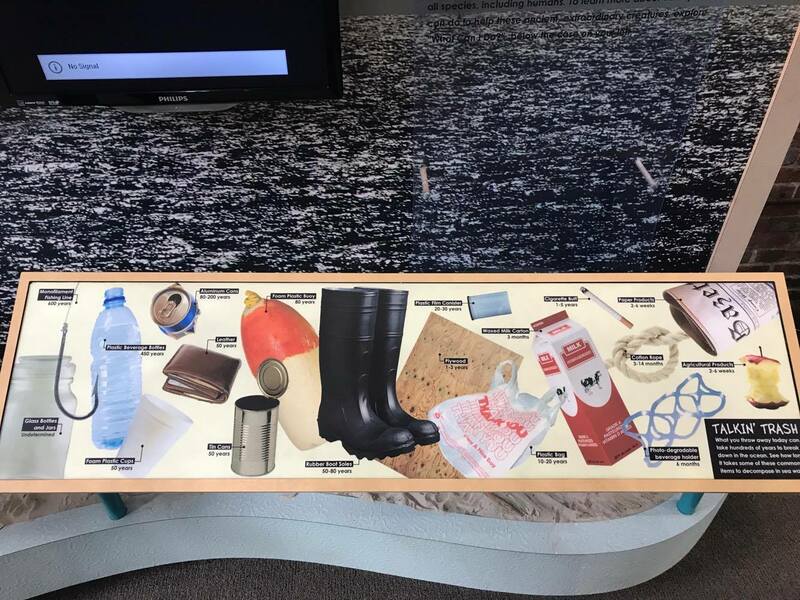 Everyone hears of the damage trash and plastic are doing to our environment, but it didn’t really hit home until I saw these numbers. My mouth dropped when I realized it takes 450 years for a plastic bottle to break down. That’s astonishing – in a bad way! I was even shocked to realize how long it took biodegradable items to disintegrate, as I previously thought it happened a lot quicker. I definitely believe the more we’re aware of the severity of the situation, the more we can take action for the betterment of the future environment. 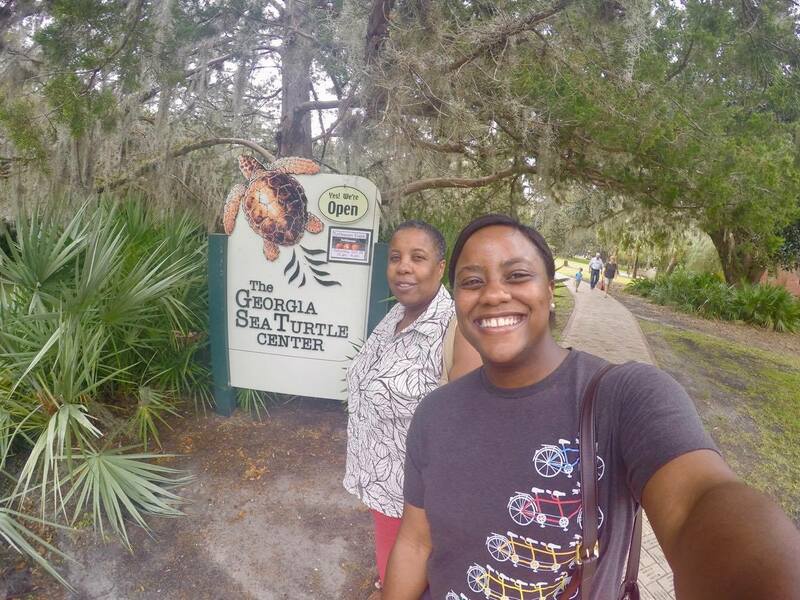 Mom and I had the best time at The Georgia Sea Turtle Center. 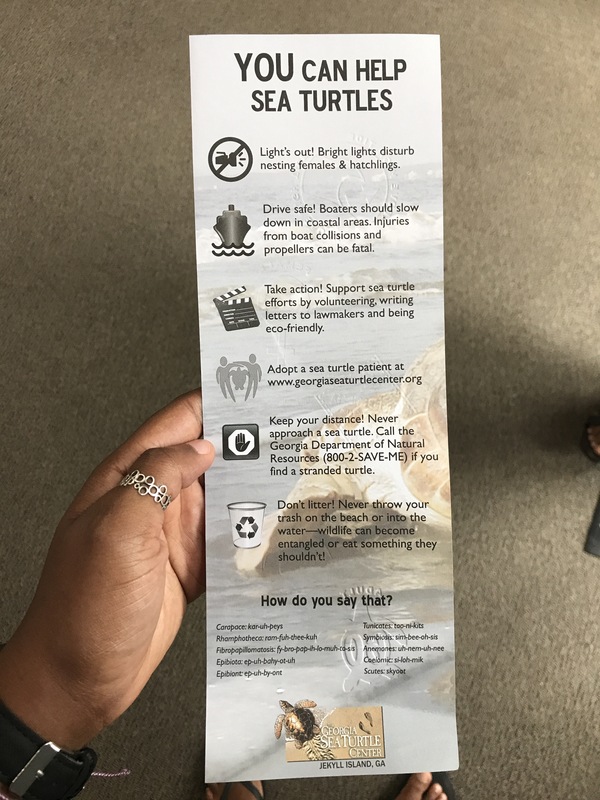 We had the opportunity to become sea turtles for a little bit, learn more about their lives, and educate ourselves on what we can do to help the environment. We spent about 1.5-2 hours in the center, but we could have definitely stayed longer. 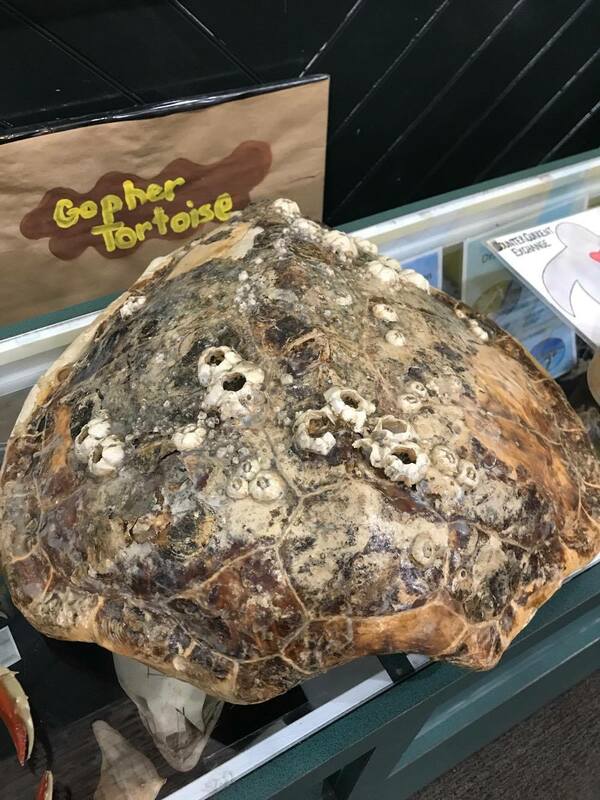 Whether you think you’re interested in turtles or not, I recommend checking out the center. 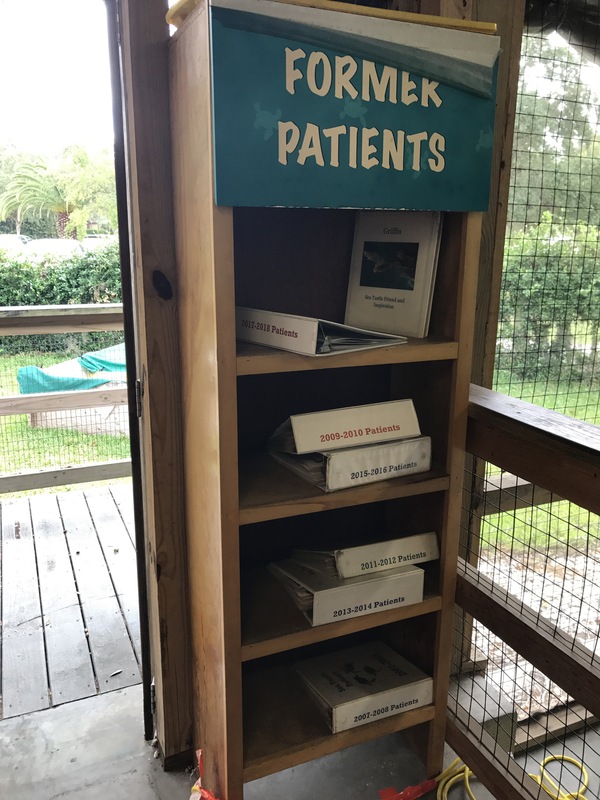 The proceeds from the center go towards turtle research and the expenses that come with taking care of these turtles. How cool is that? My mom didn’t think she would like it at all, and it ended up being her favorite part of our entire weekend trip! 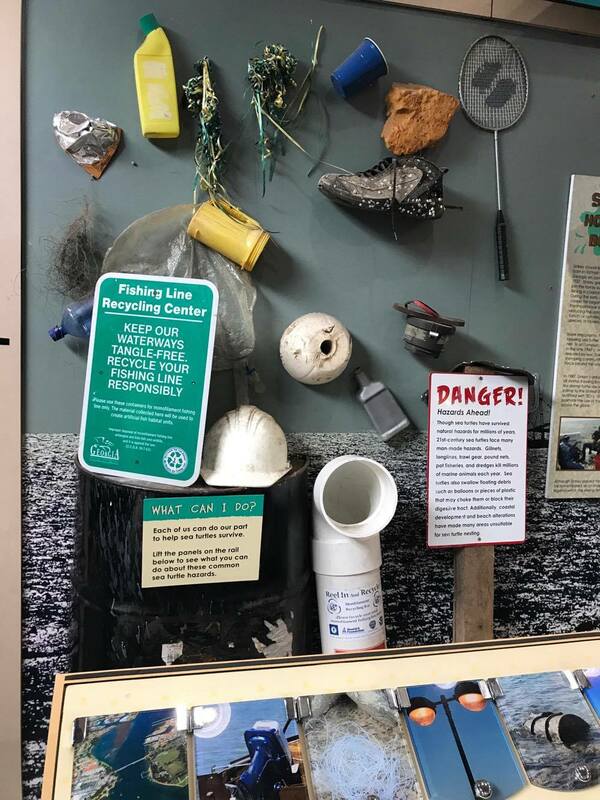 Head over to their website to learn more if you’re interested in visiting, or to gather information on how you can help keep the environment clean and safe! 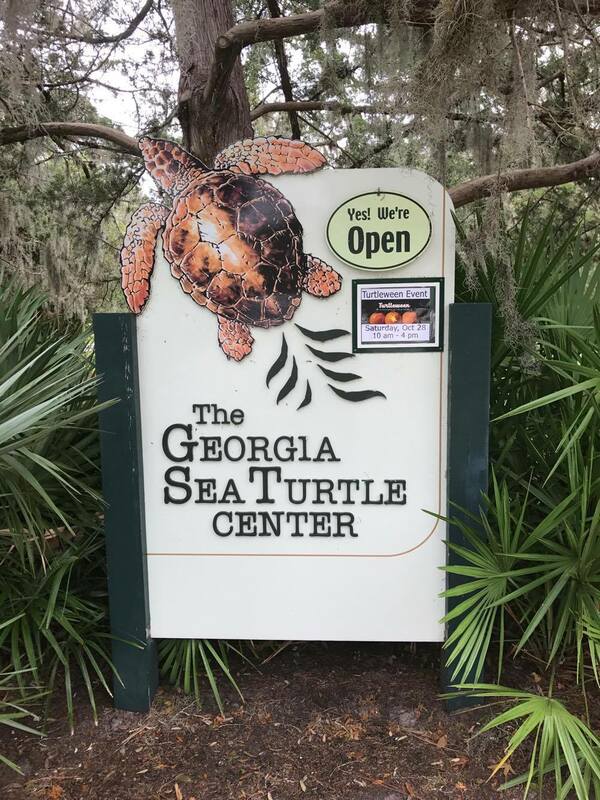 Have you been to the Georgia Sea Turtle Center? What are your thoughts? If you haven’t, are you interested in going? Let me know in the comments! wow what a great review of the place! 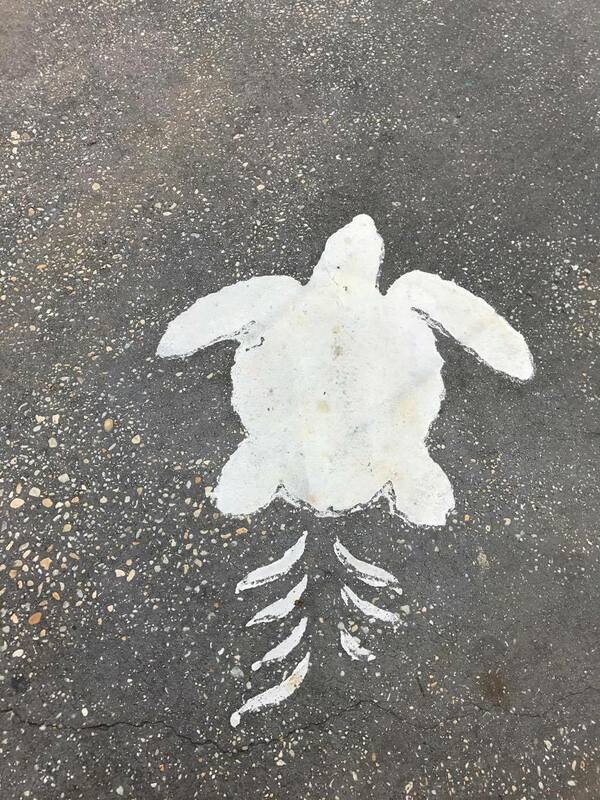 I love sea turtles and will need to add this to my list of places I NEED to go! Thank you! I hope you do go…it’s such a great place! Ahhhhh I would LOVE to go here!! I’ve been wanting to plan a trip to Georgia and this will definitely be on our list of things to do! That looks like such a great place to visit! 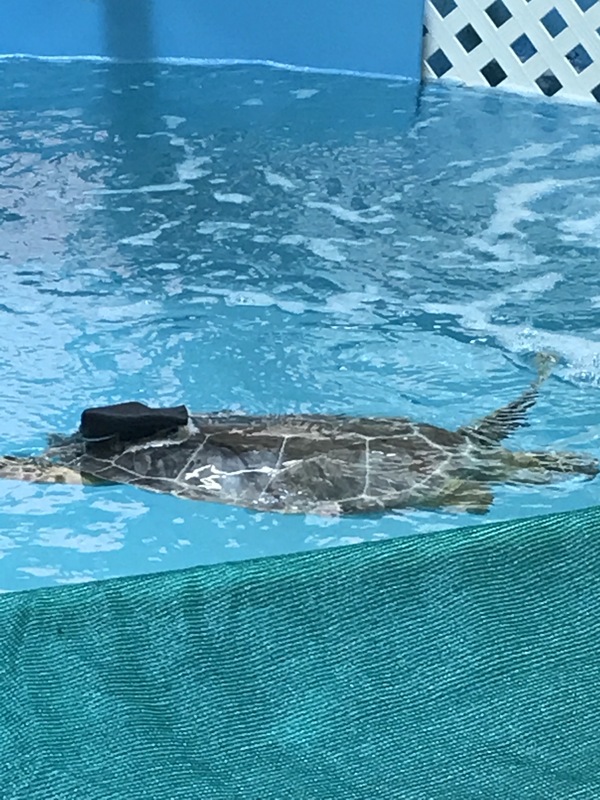 I love that the money goes to research and caring for the turtles. I also thought that was pretty neat! 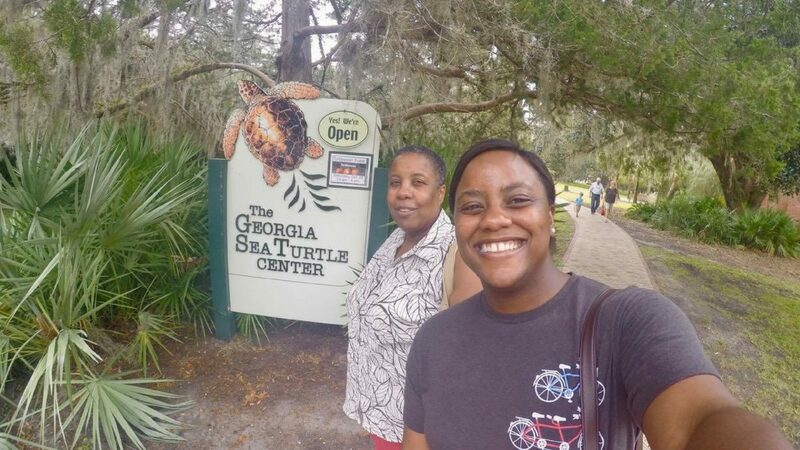 I have never been to the Georgia Sea Turtle Center but I would imagine that my family and I would really enjoy it. 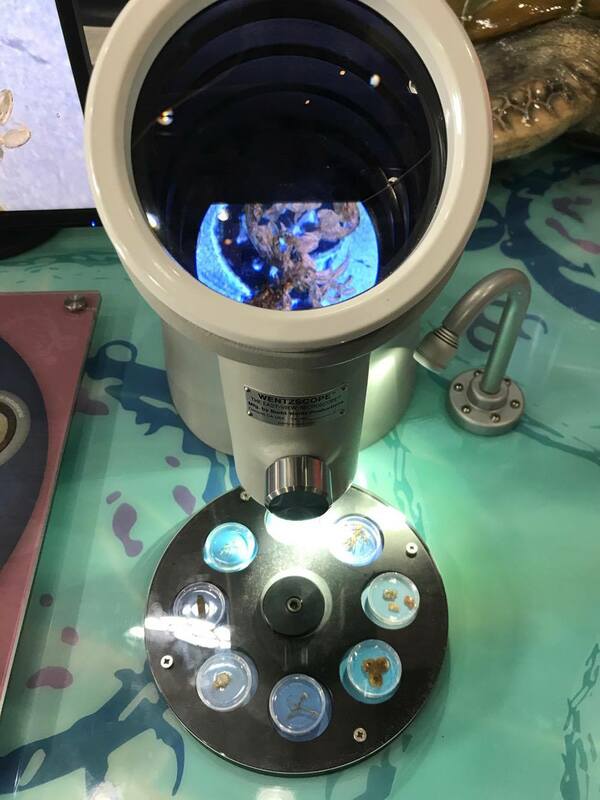 SO much to see and learn! Thanks for sharing!! Oh it’s a rehab center too? That’s awesome. 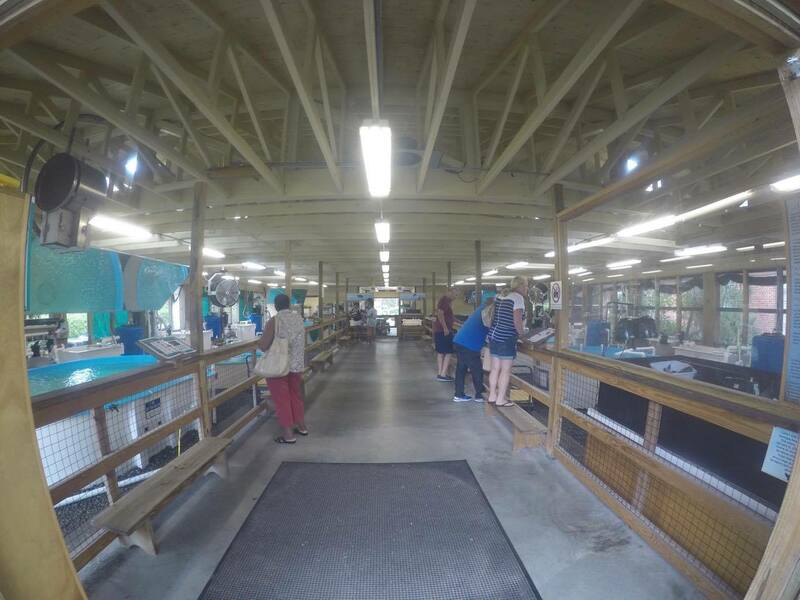 Glad you guys had such a good time at the Georgia sea turtle center. They are pretty cool creatures. Yeah, it is! I had no idea when we first went. I had no idea it was a hospital either! I love those Sea Turtles. My wife and I used to always visit a rescued one in South Padre named Jerry. 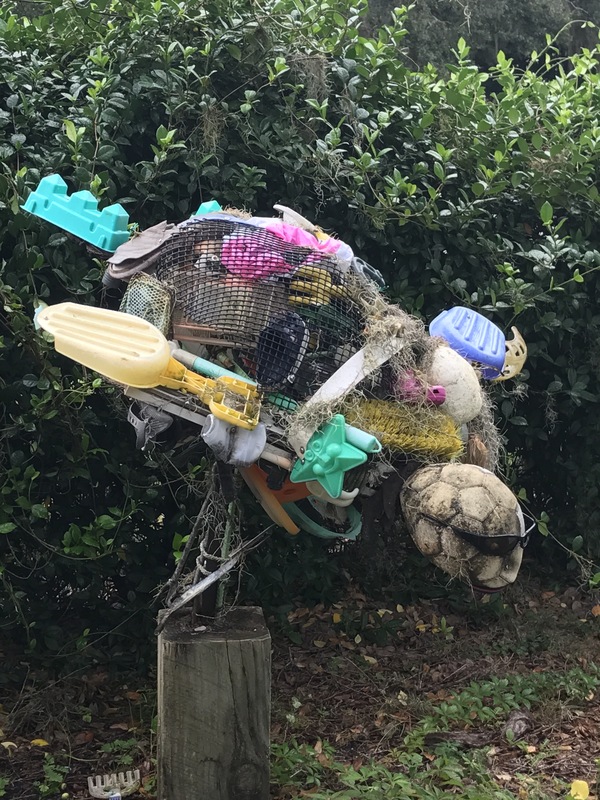 We do need to be mindful of plastic getting into there environment though. Thanks for the great article. Oh my gosh, that’s awesome! And yes, it’s shocking to see how trash and plastic affect the environment in such detrimental ways. I absolutely love sea turtles! Such a fun article. Then you would love the center! And thank you! 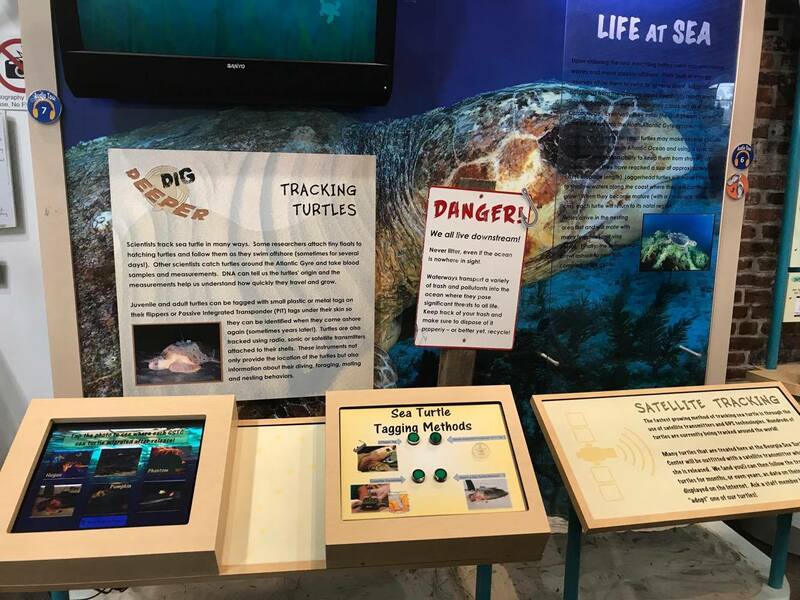 I love that they include fun, interactive things like allowing you to become the sea turtle and learn more about yourself. 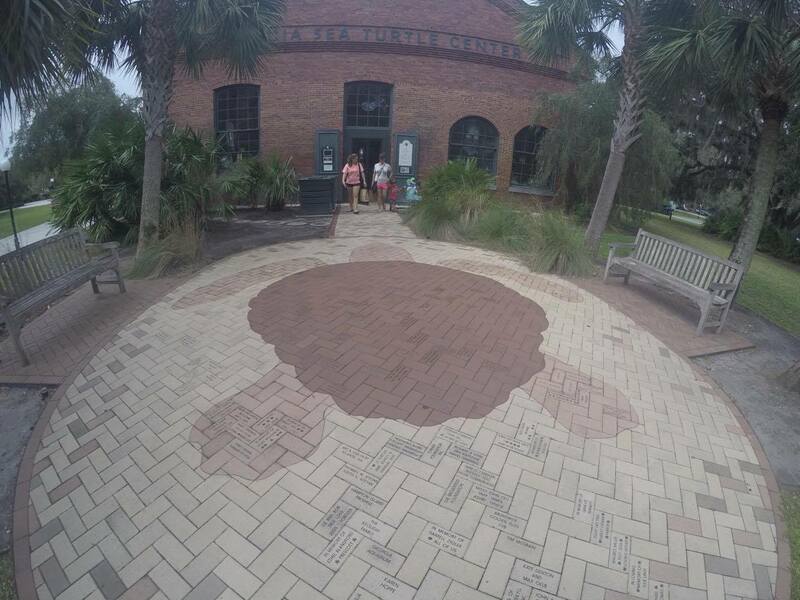 I have heard of Jekyll Island, and have wanted to visit, but has never gotten the chance. This looks like a great place to visit. 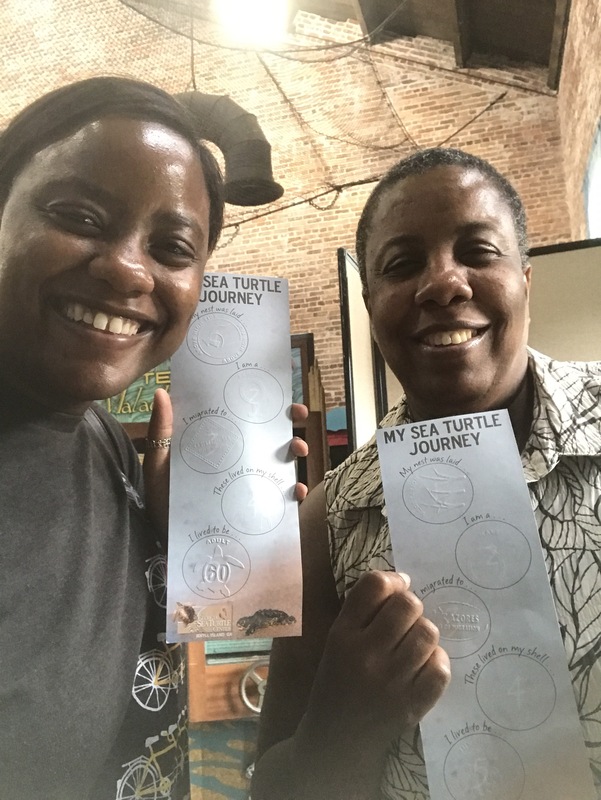 My mom and I really got into becoming a sea turtle, and learning about the odds of one’s survival with the different life changes that may happen. I think you would enjoy Jekyll Island, so I hope you’re able to go one day! This place looks amazing! 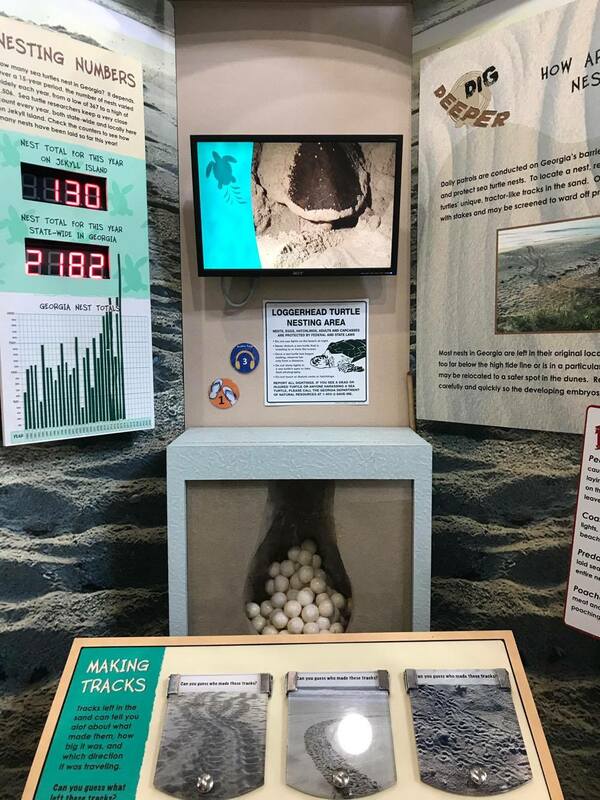 I love that the facility is interactive and informative. What fun! Thanks for sharing your adventure with us. Thank you for reading 🙂 and that’s why we enjoyed our time so much, because it was so engaging!